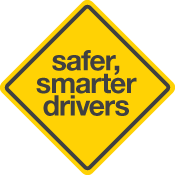 Speed is a key factor in crashes and road trauma. Exceeding the speed limit increases the likelihood of a crash. As your speed increases, your ability to react to emergencies and stopping distances increase. Other road users also find it more difficult to judge how fast you are travelling. The speed limit is the maximum allowable speed, but sometimes it is necessary to travel below the speed limit to stay safe. Visit speedcameras.sa.gov.au for the latest speed and red light camera information. The faster you drive, the harder you hit. At higher speeds there is a greater likelihood of severe injury or death. Even small increases in travel speed can cause disproportionately large increases in the likelihood of a crash that causes death or serious injury. In a crash your body will keep moving at the travel speed of the vehicle. For vulnerable road users, such as pedestrians, small differences in travelling speed can mean the difference between life and death. If you collide with a pedestrian, death or serious injury is likely even at relatively low speeds. Research shows if you are travelling in a 60 km/h zone, your chances of being involved in a crash double with every 5 km/h increase in speed. Travelling at 65 km/h in a 60 km/h zone, you are twice as likely to be involved in a crash. A car braking from 65 km/h will still be travelling at 32 km/h at the point where a vehicle braking from 60 km/h has stopped. Speed limits indicate the maximum vehicle speed that is permitted on that road. Exceeding the speed limit is illegal. If you break the law by exceeding speed limits, you will be subject to heavy penalties, potentially including fines, loss of licence and imprisonment. Any road with a speed limit different to the default limit is signposted accordingly. Variable electronic speed limit signs also operate throughout South Australia. 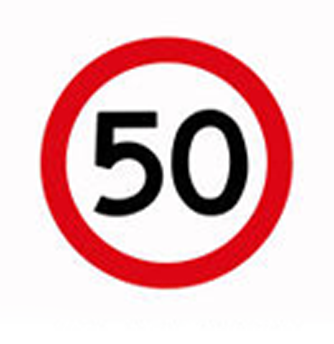 50 km/h is the maximum default speed limit in a built-up area. 100 km/h is the maximum speed limit on most rural roads in South Australia. Exceeding the speed limit, driving at excessive speed, driving recklessly, at speed or in a manner dangerous to the public are offences that attract penalties, including payment of expiation fees and incurring demerit points. For a list of speeding offences and penalties please click here. How are speeding penalties set? the consistency of the penalties imposed in South Australia with those imposed for similar offences in other Australian jurisdictions. Aren't speeding fines just revenue raising? No, speed enforcement has never been and never will be about revenue raising. Speeding fines raise revenue only because drivers have broken the safety laws put in place to protect all road users. Whatever the legal speed limit, improved compliance with and enforcement of the limits plays a vital role in improving the safety of all road users. Reducing expiation fees for low level speeding and increasing demerit points reinforces the fact that speed enforcement is focused on safety, and not revenue raising. If everybody drove in accordance with speed limits then no speeding fines would be issued. What happens to the speeding fines collected? All revenue from anti-speeding devices is returned to road safety through the Community Road Safety Fund. Speed and red light cameras are proven to encourage safe driving behaviour. A website has been created to improve community understanding of speed and red light camera operations in South Australia. Visit speedcameras.sa.gov.au for the latest information.